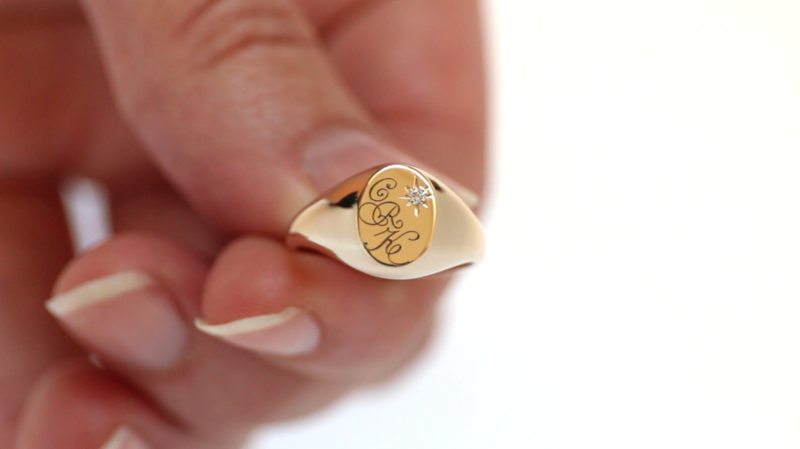 Nicole came to us wanting a special ring for her first mother’s day – a pinky signet ring with her son’s initials that would be something she could pass on to him later. We were honored to take on such a special project and excited to dig in! 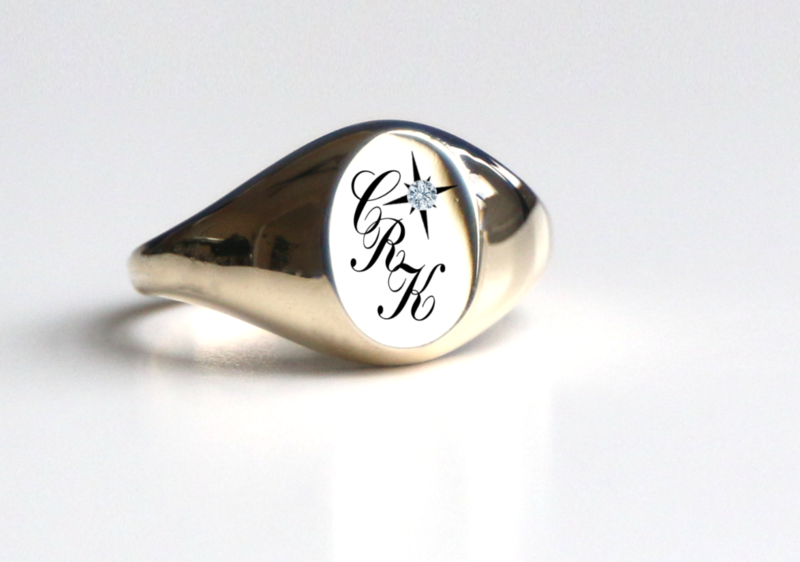 First step was figuring out the monogram, which is actually more complex than it seems! Monogram etiquette is a whole google rabbit hole. Once we figured out the placement of initials, we gave Nicole 4 fonts to choose from that matched her desire for elaborate cursive. 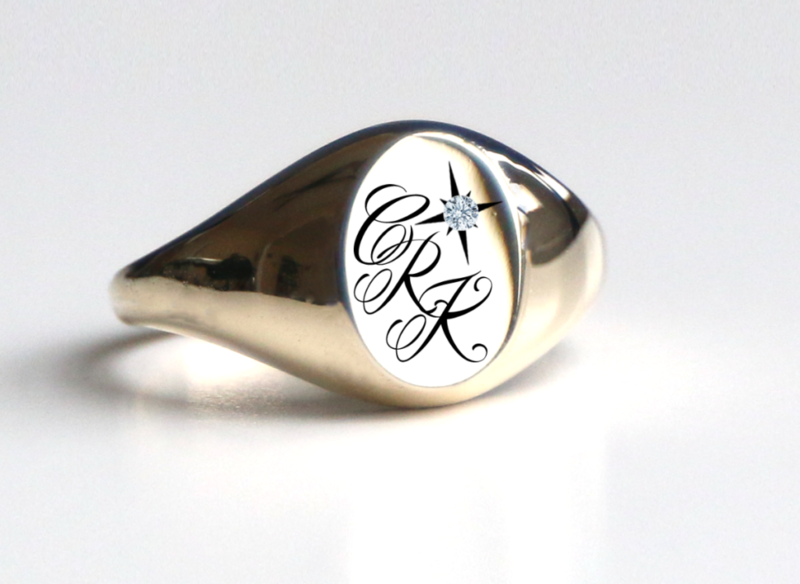 She also wanted a diamond in the top right, but wasn’t sure if she wanted it framed by a carved star or not. We provided a mock up of the different fonts with variations with and without the stat. 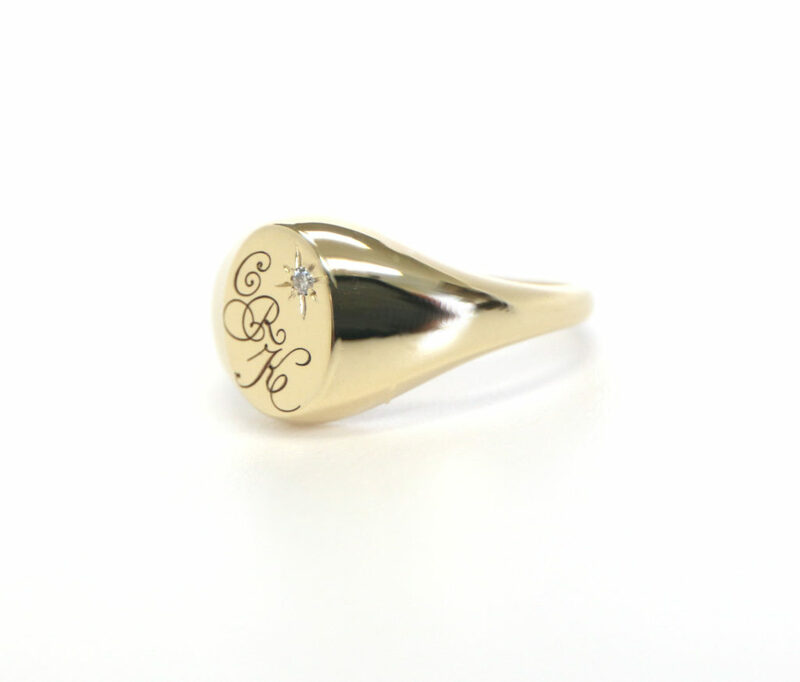 Once we had the render – we moved into production, casting it in 14k yellow gold, then carving in the letters, setting the diamond and carving the star! The final ring Jonathan made for me is a ring I will treasure. He was very professional and dedicated to reaching a final product I had envisioned. I highly recommend Jonathan for your own personal custom creation. 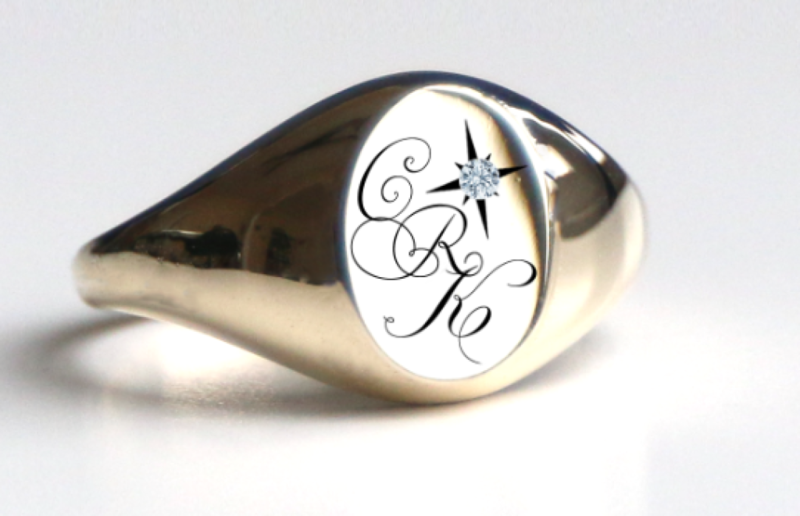 He has the knowledge and skill to complete a one of a kind piece that will become a lasting treasure. 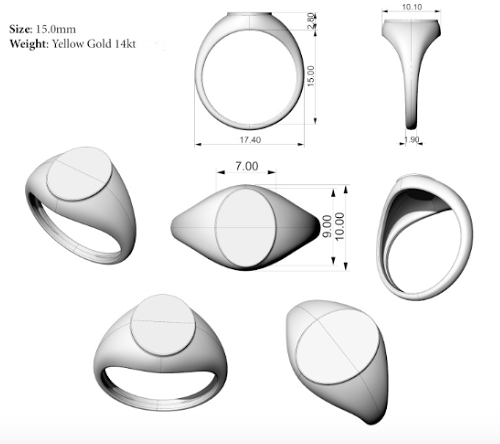 I enjoyed the process from sketches to 3d rendering to finished product! 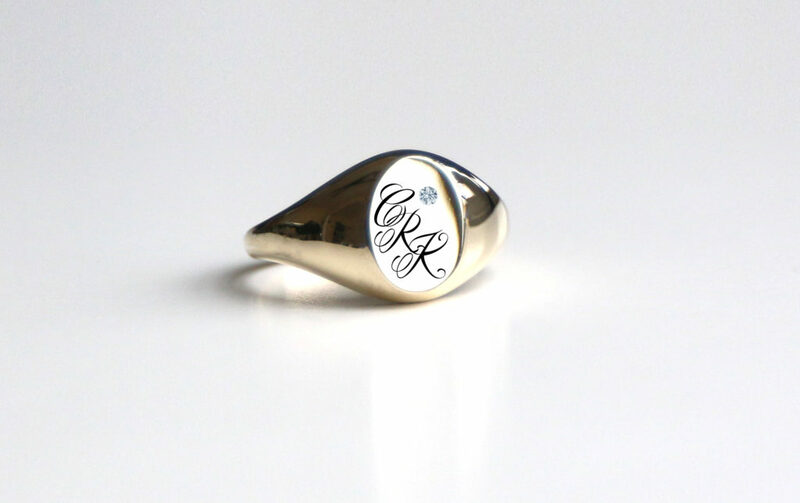 If you want to make a custom signet ring or any other kind of custom piece of jewelry, you can start the process here or send us a note at info@makehersayduh.com and we’d love to see how we can help you out!